Thousands of TCC students are receiving food assistance from various campuses as a patchwork effort to curb student hunger. Former student Michele Price benefited from a NE Campus food pantry. As a full-time student supporting two kids, her mother and a grandchild, she worried about buying groceries. Price said after completing a short form, she was free to “grocery shop” at the pantry once a week. “The food pantry kept my family fed,” she said. Price is not alone. A study released in April found 36 percent of college students grappled with food insecurity at some point in the last 30 days. And for community college students, the risk of being hungry is even higher, at 42 percent. The survey from the University of Wisconsin-Madison’s Hope Lab called Still Hungry and Homeless in College, included responses from 43,000 students at 66 institutions found. Hungry students tend to have declining academic performances. At TCC, three campuses now have their own food pantries, starting with NE. NW students, faculty and staff participate in the Community Food Market on NW Campus. The monthly food market also serves the surrounding community with fresh produce. In 2014, NE Sociology professor Cheryl North compiled research in a joint effort with student leaders to determine food needs on campus. They submitted a proposal and a plan of action to start a food pantry, with estimated costs and benefits. It stated that approximately 40 percent of TCC students lived at or below poverty level. The pantry was designed to provide needed food and also create volunteer opportunities for clubs, honor societies and service learning courses. In return, North asked for a space to house the pantry, shelving to store food, a desk and small file cabinet. When the food pantry opened its doors in February 2016, it had collected 6,085 food and toiletry items. When it closed for the summer that May, 5,617 of those items had been distributed to 110 students. The following school year saw that number increase tenfold. As of April, the food pantry provided for roughly 1,500 students. 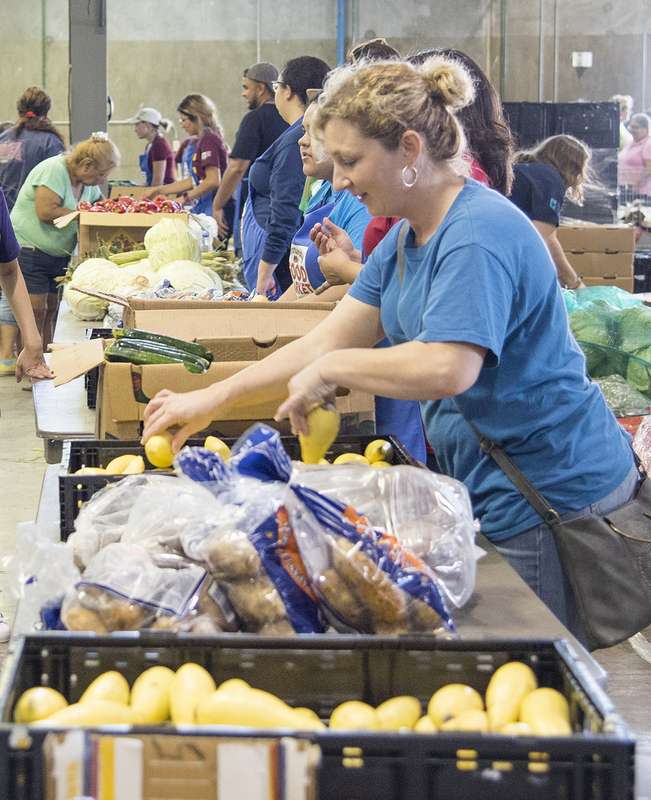 Staff consists of three work-study students, but most contributing are volunteers who work uncovered shifts, conduct food drives, accept and sort donations or take inventory in the pantry. North said the majority of that inventory comes from within the TCC community such as faculty, staff, students and fundraisers. Student staffers keep the pantry open Monday through Friday in a closet-sized room, handing out food to students stopping by for their next meal along with keeping inventory, storing food and conducting food drives. Lesly Camero, a work-study student, said she loves working with the people who use the pantry. “It’s a fulfilling type of job, being able to be there in people’s times of need,” she said. Student volunteer Ivan Towes said more help would mean longer hours for the pantry. “It would be better if we could keep the pantry open at every time throughout the day, rather than have constantly changing hours,” he said. Making the process easy is one of the program’s priorities. Since the pantry’s hours vary and it closes at 5 p.m., workers at the library agreed to provide food after hours and on weekends. Samantha Kayem, a student worker at the library, said students can go to the circulation desk for a pre-packaged meal if the food pantry is closed. They receive a box with three meals of non-perishables like cereal, trail mix and ravioli. “We get at least one person every day,” Kayem said. 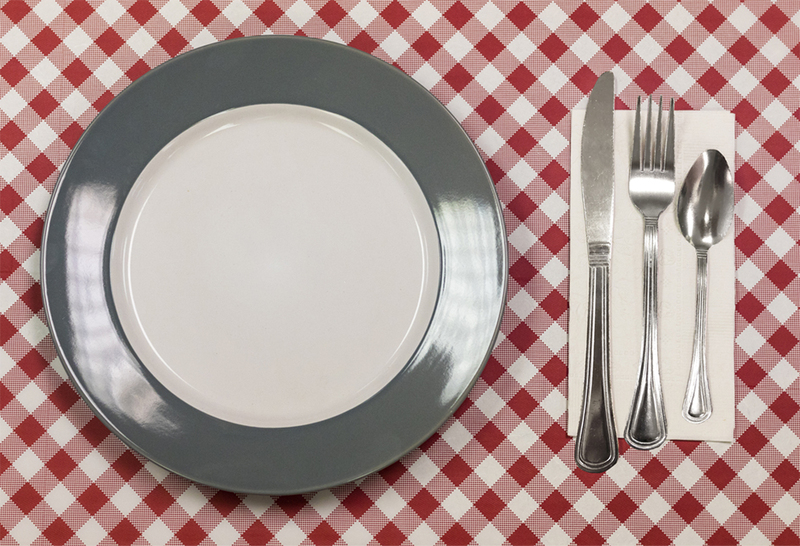 The issue of student hunger on SE Campus became evident to health services coordinator Elizabeth Lowry when some students complained about having nausea and headaches. SE sociology professor Sharon Wettengel heard about the problem and received two small grants to open a food pantry on campus. The pantry first opened in a small storage closet in spring 2017 but quickly grew into a larger space that now has signage, furniture, shelving and a refrigerator. Now the pantry is open at least twice a week, sometimes more. It’s staffed entirely with volunteers. They offer canned vegetables, cereal, pasta, granola bars, rice and grapes. From October 2017 to March 2018, the food pantry served more than 373 students with over 8,933 pounds of food. A new food pantry opened on South Campus in October 2017. It’s overseen by student development services and began “to provide sustenance and toiletries for students in need,” according to Jared Cobb, South’s student development director. The food comes from “on-campus donations, from campus divisions and recognized student organizations,” and includes canned and dry food. It’s staffed by about 30 volunteers, along with two work-study students and three full-time staff. To receive food, students must present a college ID and complete the intake form once a semester. They can choose the items, taking one from four categories of food, and can use the pantry once a day. This food pantry receives a “nominal budget for supplies and maintenance,” Cobb said. While NW does not have a permanent food pantry, it hosts a monthly food market. The Community Food Market is a collaboration between NW and two nonprofit organizations, Community Link and the Tarrant Area Food Bank, which donates a majority of the food, Ferguson said. NW’s horticulture program also occasionally donates produce. In March, the market saw 328 individuals come to pick up food, said NW logistics and supply chain management coordinator Michael Esquivel. Reginald Lewis, TCC’s manager of communications, said TR Campus does not have a food pantry, but students in need are referred to nearby food banks. Much of the need among TCC students is mirrored in the national study, which found that among the 42 percent of community college students at risk of hunger, 27 percent experience very low food security while 15 percent have low security. Nearly 10 percent of all community college students in the study have gone an entire day without eating. Full-time community college students who are financially independent have a higher risk of food insecurity than part-time community college students who are financially dependent. At TCC, the food pantries operate independently, with schedules that are specific to their campuses. SE’s food pantry has sometimes collaborated with its academic departments. In March, the dietetics program had a cooking demonstration, and the kinesiology program had a talk about eating healthy and advice on how students should take care of themselves. They even created a booklet of recipes based on the food given to students. Wettengel said that her sensitivity about addressing hunger on campus comes from all her experiences as a social worker. — This project was reported and written by Jasmin Davila, Eloy Duran, Landon Lapenna, JW McNay, Quynh Nguyen, Julio Ochoa Aguilar, Jose Rodriguez and Jeni King. Monday, Wednesday 9 a.m.-5 p.m.
Tuesday, Thursday 8 a.m.-5 p.m., Friday 8 a.m.-1 p.m.